The landscaping ideas can be designed for home yards present at any region, may it be a beach or a desert. Special landscaping designs make your desert home area look elegant. Adding plants in a garden is a general landscape idea in practice. It is even possible in desert and dry regions. You can add plants that can grow specifically in such areas. Indigenous plants like coneflower, foxwood, sage, ironwood, cacti and succulents can be grown in desert landscapes. The other desert landscaping idea is to use stones. You can make your backyard creative and unique with stone landscaping. Different fun colored rocks and boulders of different shapes and styles can be included in your yard. 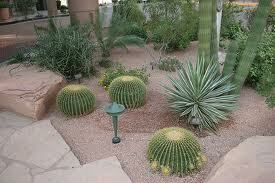 Around them, you can plant desert plants to soften them up. The desert landscape can also be made beautiful by growing grasses. Grassy areas along with paved walkways provide an open feeling to the desert backyard. If you wish to plant fruit trees, you can surround them with stone or concrete blocks. Even gravel and decorative rocks can be used. 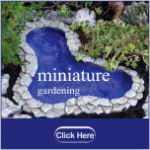 Beautify your landscape by laying a path of pavers from the garden to the driveway. Be careful while choosing the color of the paved materials. Avoid choosing dark-colored pavers as they absorb heat from sunlight and may become hot. So, prefer light-colored pavers which provide a cooler touch. The desert landscape area can also be improved at night by lighting. Different shadows can be created by the lights on the rocks and they bring a new design alive at night. 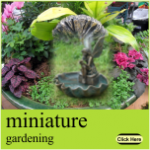 If possible, you can also add water features like water gardens or ponds. Apart from these, you can also create some fun and interesting landscaping ideas to bring a new look to your desert home yard.